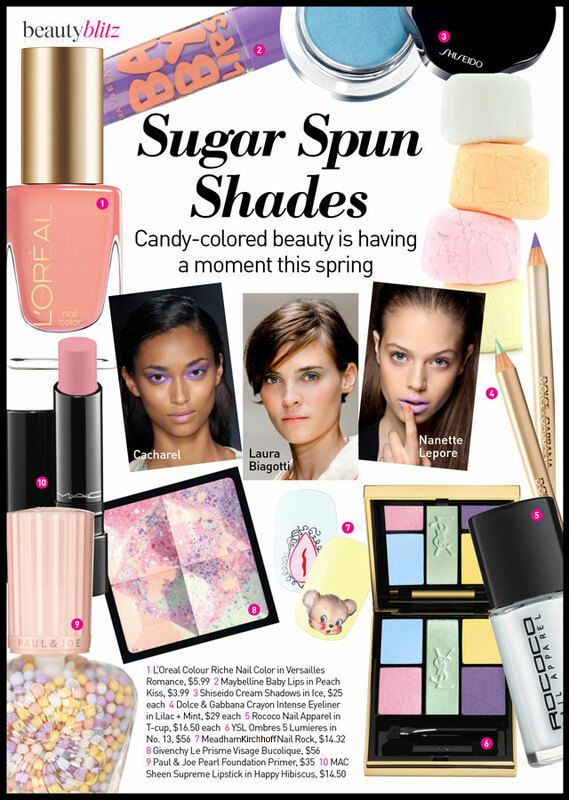 Delicate pastels are a perennial spring favorite, but a pop soft lavender on the eyes or a swipe of mint polish just feels so fresh and so right now. Take a cue from the Spring 2012 runways and play with the softer side of makeup that can make a surprisingly bold statement. This creamy shade of coral has us dreaming of macarons and fresh scoops of sorbet. 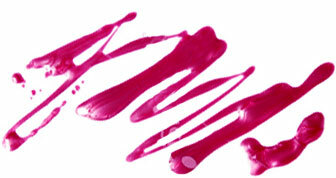 L'Oreal Colour Riche Nail Color in Versailles Romance, $5.99. Swipe this tube of peach balm on your lips for a hint of peachy color, plus we love how this soft purple tube looks chilling in our makeup bag. Maybelline Baby Lips in Peach Kiss, $3.99. Rock baby blue lids with this creamy eyeshadow that has serious staying power and buildable color. Shiseido Cream Shadows in Ice, $25. Ditch your standard back liner for an playful shade like mint green or pale lavender. Or you could try lining your inner rims for an unexpected pop of color. Dolce & Gabbana Crayon Intense Eyeliner in Lilac + Mint, $29 each. This pale blue is almost white, and it really pops on your fingertips, no matter your skin tone. Rococo Nail Apparel in T-Cup, $16.50. This color combo screams spring, and each shade looks good on its own or blended together. YSL Ombres 5 Lumieres in No. 13, $56. Meadham Kirchhoff designed these nail wraps for his runway showing. Each set comes with eight too-cute designs. Meadham Kirchhoff Nail Rock, $14.32. This artful palette blends four color correcting shades to illuminate your complexion and give you a soft focus look. Givenchy Le Prisme Visage Bucolique, $56. Prep your skin with this illuminating primer. Paul & Joe Pearl Foundation Primer, $35. Get a Pepto-pink pout with this bullet. MAC Sheen Supreme Lipstick in Happy Hibiscus, $14.50.